Calling all students: So, you’ve been taking our courses here at Saylor for a while now (or just getting started — welcome!) and many of you have asked about badges, credits, etc. as ways to include your achievements on your transcripts and resume. Let’s focus on that resume, shall we? I mean, why not? You deserve it! Our PRDV102 course is an expert on resumes. It has tips and hints to make yours stand out from the rest, whether you’re applying to your friendly neighborhood coffeeshop or to the US federal government (scary…one word: KSAs). Worried about cover letters? Worry no more! This course has it covered. But unfortunately, one thing’s missing…How do I include my online learning and acquired skills? Oops! If you’re interested in improving your resume, or writing a new one, then give our PRDV102 a shot. It should be a big help in getting you well on your way to your next job or promotion! If nothing else, it’s nice to have a friendly guide in the process. Afterwards, you can read this post, shared with us by the folks at OnlineCollegeCourses.com, for hints on how to include your nontraditional education work in that good ol’ resume. The author has some pretty interesting points about the value of taking accredited courses, knowing which course providers are right for your needs (*cough* Saylor.org *cough*) and including the instructor’s name for that specific course (which, for our courses, you can often find under the Course Information section). Okay, we’re not one of the big three, but we like to think we’re in a class all our own. Then let us know how this helps you! 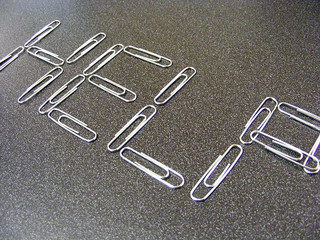 Especially, if have ANY questions on how to effectively add Saylor.org courses to your resume, get in touch! Chances are we can give you the inside scoop on a course so that you can make employers take notice of you. Happy resume writing, and please feel free to leave your comments and thoughts below!